Cathedral Lake was situated in a granite bowl. 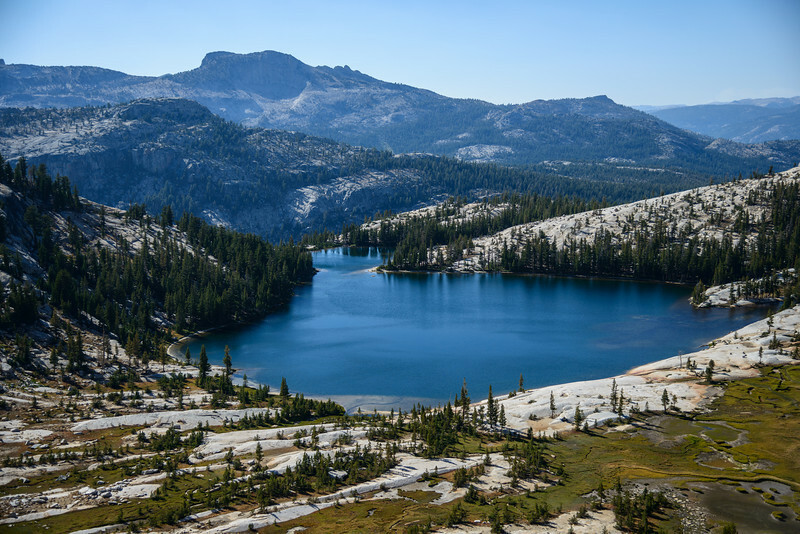 Climbing the western side of the bowl led to this magnificent view of the Lower Cathedral Lake. Had I had a bit more time, I would have liked to have stopped at this lake as well for some exploration.